As a long-time client of Elite Destination Management Florida, our contact gave us a specific budget to work within. 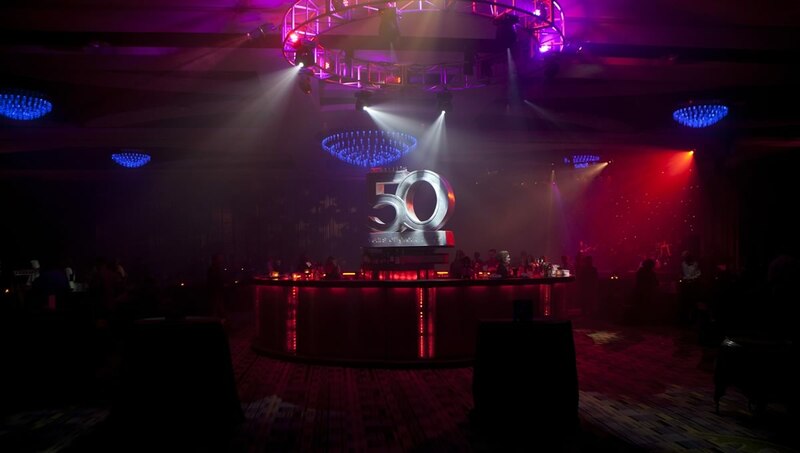 Although, after a property site visit with the meeting manager, who emphasized their 50th anniversary, the knew they had to go big. They wanted everything to look amazing; authentic, providing their executive management team leaders with a memorable experience. 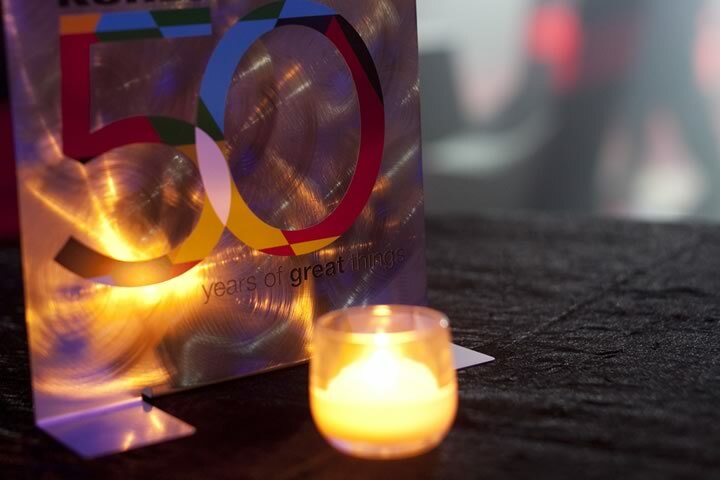 With that in mind, we customized elements that highlighted their 50th anniversary, from the custom bar icons, to the interior ballroom areas, to the outdoor areas, as well as customized 50th anniversary centerpieces. 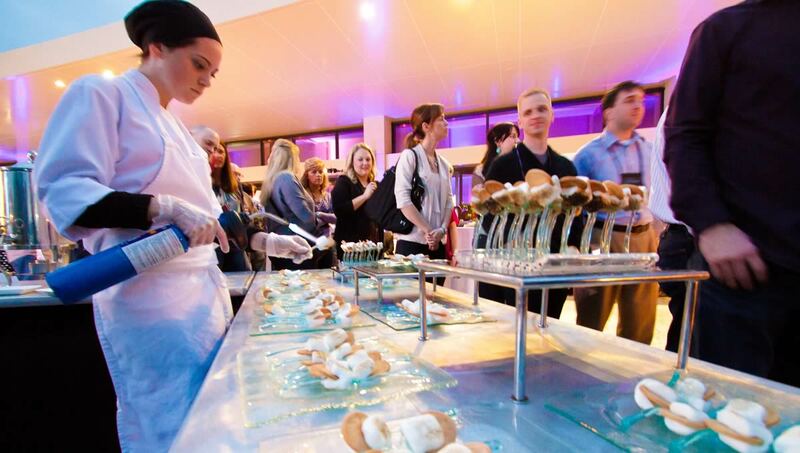 Every detail was branded, including the decor and catering. During setup of the event, we did encounter some extreme challenges when a waterline broke inside the ballroom during movement of the air wall, but we overcame the obstacle, working diligently to clean up minutes before doors open to the guests.